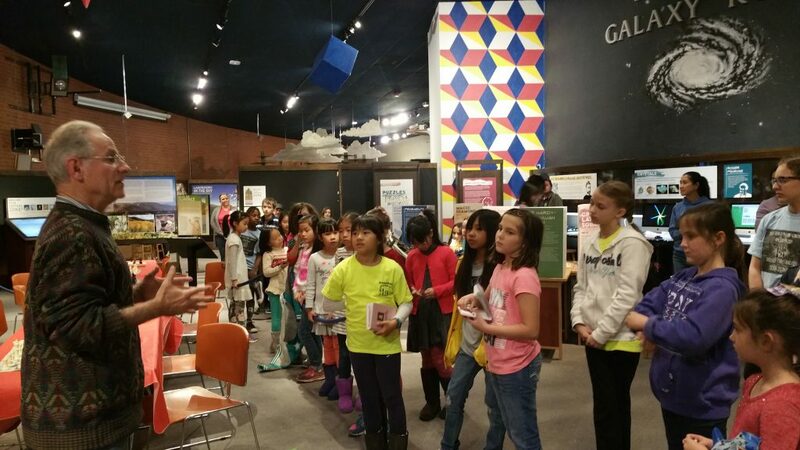 4th Annual Chess & Science Festival at Flandrau Science Center was another great success! With many new science exhibits, fun hands-on activities and All-Girls chess tournament, the event was filled with smiles and enjoyment. Children and adults were busy exploring, trying, observing and participating on Flandrau’s three floors and even on the outdoor lawn. Flandrau’s new theater featured amazing new shows and we all definitely will be back there before our 5th Annual Festival. 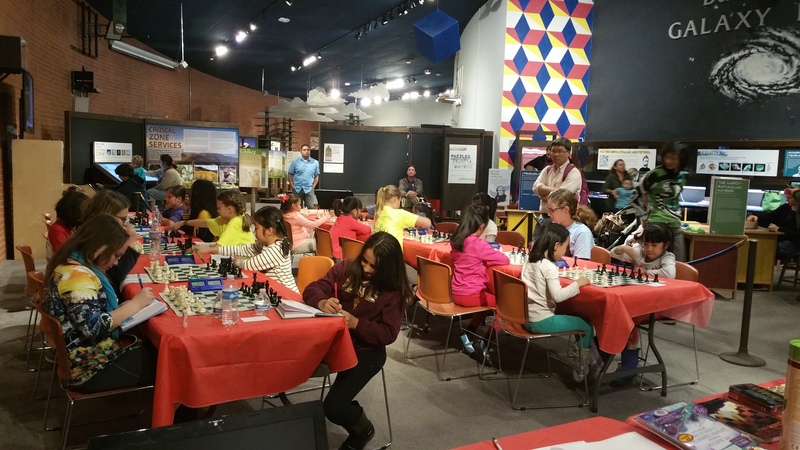 The All-Girls chess tournament featured 22 players, competing for the Championship, U800 & U400 prizes. All the girls were friendly to each other, but very competitive and determined to fight on the chess board, feeling confident and inspired. They were in the spotlight and enjoyed it! At the award ceremony, in addition to trophies, girls received science kits and educational games, to keep them engaged in chess and science activities. 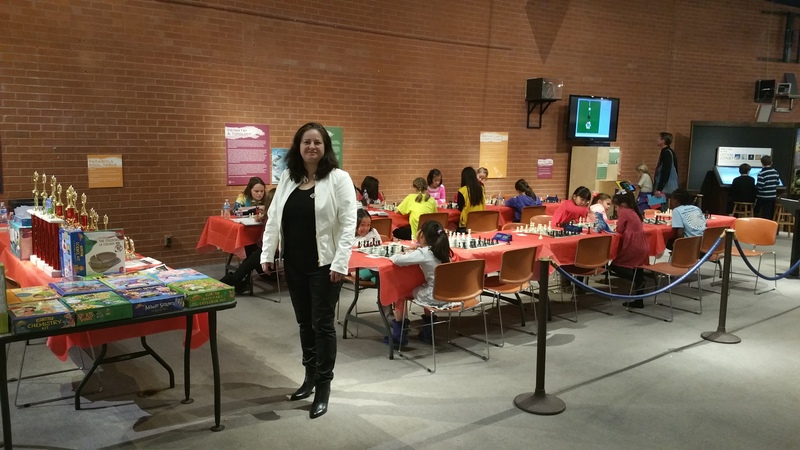 It definitely helped to get support from the Mayor of Tucson – Jonathan Rothschild – who addressed the girls and encouraged them to advance further in chess and STEM disciplines. After the speech, Mayor helped to do the drawing for the raffle prizes. 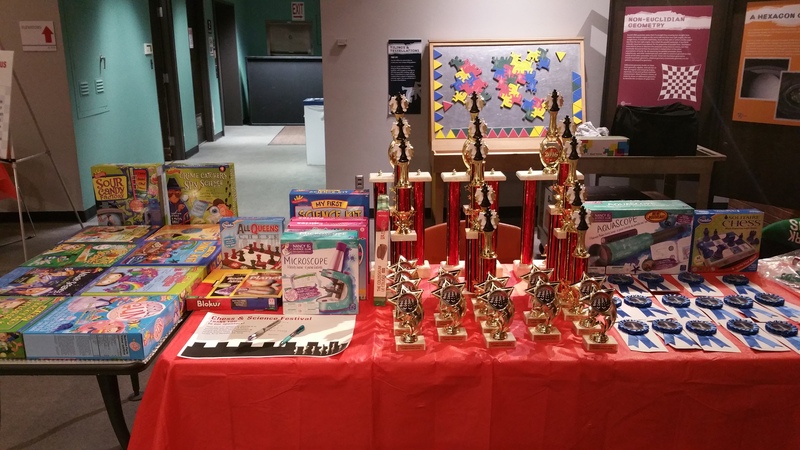 Everyone who came to Flandrau in the “chess related” outfit has received the tickets and the prizes came from the local company – Masterpiece Puzzles. 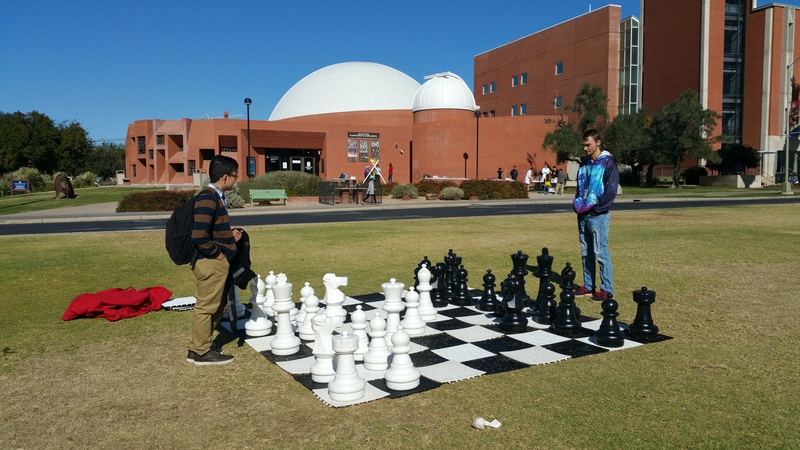 Breakfast was sponsored by Belakovskaia Chess Academy and pizza and salad lunch was sponsored by the Mathematics Department of the University of Arizona. Overall, a lot of people have contributed their time and money to make this event successful – Flandrau’s staff, PhD students, University of Arizona Math Department, 32 Kickstarter supporters, including Derek Sachs, Robin Williams, Beth Romero and Matthew Blanc, Masterpiece Puzzles, Mayor of Tucson – Jonathan Rothschild and Anjelina Belakovskaia, Principal of Belakovskaia Chess Academy. THANK YOU to ALL! Highlighted in green are the winners of the Top 3 trophies in the Open (Championship) section, while highlighted in yellow are the winners of the Top 5 U800 trophies. Highlighted in blue are the winners of the Top 5 U400 trophies. Photo Album from the event is published on Belakovskaia Chess Academy Facebook page. 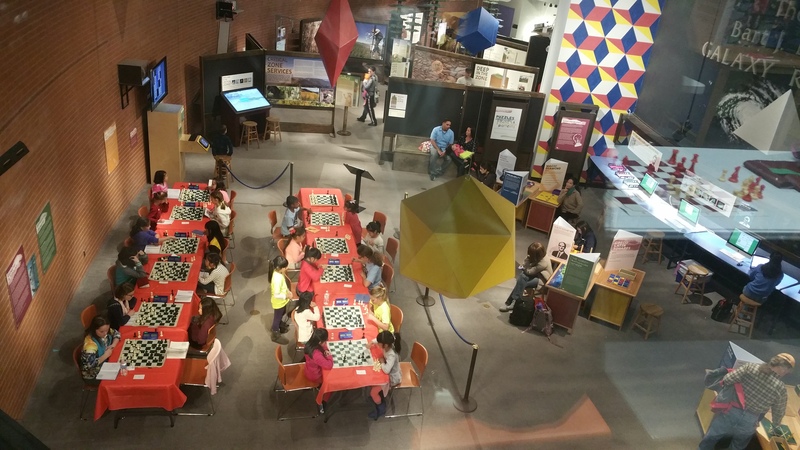 5th Annual Chess & Science Festival was FUN for EVERYONE!